Processor Core Count: Is More Always Better? If you’re in any elective course related to computers, you’ve probably heard of the microprocessor. It’s the cheez-it sized chip in your laptop or desktop that handles all of your computing. For branding purposes, Intel and AMD tout core count and clock speed as the source of high speed to the average consumer. While there is some truth to multiple cores increasing performance, it doesn’t apply in all cases. So, how do we get past the flashy numbers to the truth of a chip’s specifications? 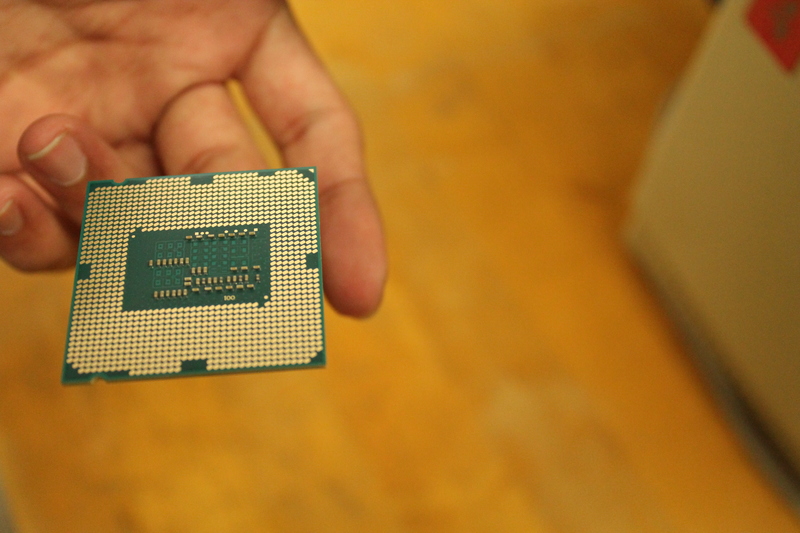 The core is a small computing unit on the chip that usually comes in twos or fours on most modern processors. Each core has two threads which act as conveyor belts of logic that the core computes. Ideally, the more cores a processor has the more pathways of information there are, increasing the efficiency of a computer running multiple applications at once. Each core has a clock speed, or number of pulses per second in which instructions can be processed, but that doesn’t quite determine its power. Each pulse carries a varying number of “instructions per cycle” or IPC. Two CPU’s with the same clock speed can have a different amount of instructions sent per cycle. A CPU which can send more instructions per cycle will out-perform a CPU with a higher cycle count. So what does this have to do with cores? The number of cores is not an automatic indicator of overall performance. The Intel Xeon Phi boasts a core count of 64, but is strictly limited to server duties. You won’t have an all-in-one super home PC by installing this in your system, mainly by design. Developers design editing software and video games to work with 16 cores, at the most. A CPU can have more cores than another, but have less speed per core. This was the case with AMD’s debut of 8-core FX processors in 2011 that matched the performance of Intel but lagged behind in core speed. Core count does make a difference when multitasking, but does not apply when it involves gaming, a computer task that does not utilize multi-core technology beyond four cores, but will ask for more instructions per cycle from each core. There is no doubt, however, that the two main CPU manufacturers are adding more cores while improving their individual performance. Intel’s new 28-core models sport a clock speed of 5GHz, doubling the average desktop speed. As each incremental step in CPU development is taken, the gap between core count and core speed will narrow, giving consumers less headache trying to find the real specs. In the meantime, choose your chips with care.